Ex-detective-turned-pimp Jung-ho�s night is getting messy. Convinced his girls are running out on him, he sends one of his last remaining girls, Mi-jin, on a desperate last minute job. Too late, however, he makes a bone chilling discovery: this customer�s home is where all his missing girls were last sent. 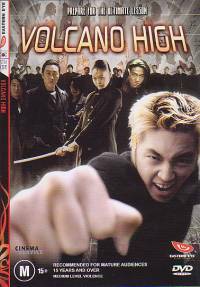 Fearing the worst, Jung-ho�s relentless pursuit of Mi-jin ends in a terrifying chase through the city streets after a car crash throws a blood spattered suspect into his path. Calling in old favours, Jung-ho is certain he has caught this ruthless killer. But despite a disturbing confession, the lack of evidence means this cold-hearted psychopath might soon be freed by the bureaucratic police force. If he is to find Mi-jin is still alive, Jung �ho, armed with few clues but filled with street-smart and savage determination, has just 12 hours to find the killer�s lair, before he is set free to end her life and continue his reign of terror. 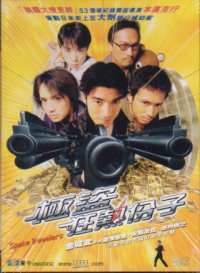 In the press release that came with my copy of The Chaser it said that it is being remade by the same team that brought us The Departed - the actually not that bad remake of Infernal Affairs. This made me start to think about what this film was going to be like in style, rather than content. I expected a rather flash looking film, with the sort of imagery that would appeal to Western audiences in the first place, much like Infernal Affairs. In that regard I wasn't that wrong. The film is very well shot and despite the rather gruesome story within the film, restraint is shown more often than not, leaving a lot of the effect to your own imagination. The violence in particular is often implied and not actually seen. Blood will spatter on screen, but the action that is causing it takes place off screen, and in one particularly disturbing scene where the killer is planning on using a hammer and chisel to open someone's head, the implications of this alone are incredibly disturbing and violent, yet we don't actually see anything happen. Less is most definitely more in The Chaser, but I highly doubt the same will be said for the remake, where I imagine blood, guts and gratuitous violence will be seen in detail, like with The Departed. While some elements are very much material that Hollywood will thrive on, the overall tone of the film is something that surprised me. This is not a happy film. There is no feel good factor, no silver lining, and no morals to be bestowed upon us. It is simply a disturbing story based on real life events that will leave you horrified; horrified both at what some people in the world are capable of, and at the bureaucracy that can impede the police and other people from stopping terrible acts such as these from taking place. I was quite depressed and on a downer once the film was over, such is the power of what you see. I've seen so many films where once they were over I've been able to switch off from it and get on with my day without any mental burdens hanging over me, but after watching The Chaser this was not the case. If I remember correctly I sat slumped on my couch for a while afterwards, feeling sapped of the motivation to go and make the most of the rest of my day. I did get over it, but despite the negative feeling I felt inside, looking back I am glad I felt that way. It showed me not only that I have feeling and a conscience, so should be happy that I'm not an uncaring, unsympathetic sod, but that the people behind the film have succeeded on a level that so many other filmmakers don't. They've made a powerful film that leaves an impression. For this I have to congratulate them. It isn't just the story that is strong, but the performances in the story. 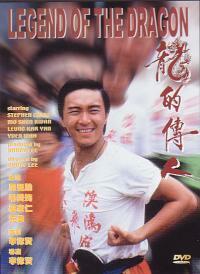 With Jung-ho being the main character, he is the film's "hero" of sorts, but he is not a typical hero. He left the police force and became a pimp and is quite happy to use violence and threatening behaviour where and when he chooses - not exactly hero characteristics. When his girls start disappearing he makes wrong assertions about what is happening to them, and even when the truth is being told, he thinks it is lies, being self-absorbed in his own problems. He is out to protect his own interests, but slowly gets caught up in the events and then tries to do what he can and what is right. Maybe that does give him some hero credentials. It is the emotions portrayed by Kim Yun-Seok that despite the negative first impressions he makes, keep him being liked and rooted for as the film progresses. Where The Chaser differs from a lot of other murder-thrillers is that generally when the killer is known by the audience, there is a cat and mouse style chase as the good guys try to catch the killer, but that is not the case here. The killer is caught early on, and the race against time comes from the police trying to break him to find out where his latest victim has been kept and to get solid evidence to charge him with before bureaucracy wins and he has to be released. The tension and suspense are still there but in a different form, making The Chaser a very refreshing and welcome twist to the genre. Several years ago Korean cinema was a huge industry, with many amazing films being made each year, but the last few years has seen the quality decrease. Being a victim of their own success, films have become more expensive to make and therefore the rights for distribution abroad have also increased, making them less attractive investments for companies. While obviously being an appealing film for certain people in Hollywood, The Chaser also shows that potential for excellent cinema still exists in Korea and can be distributed to the world. While maybe not a film you'll want to see again in a hurry The Chaser is an excellent, powerfully disturbing film that won't leave you with any smiles, but it will leave an impact. There is a choice of Korean DD5.1 or stereo on the disc, no English dub (yay!). The 5.1 track is rarely something to show off your system to the best of its ability in this kind of film, but what you do get a lot of is the ambient effects spreading around the soundstage. Rain comes from all around, you hear footsteps and cars moving past you; nothing flash but all effective. Volume levels were decently balanced and I was quite happy! The English subtitles had no spelling or evident grammar errors. As I've said before, judging quality on an LCD TV is far more subjective than it was on my old CRT TV. The TV and the DVD player that is upscaling the DVD both play a major factor in how the image is seen. In spite of all these variables, I was very pleased with how the film looked. Detail levels seemed really good and colours looked well produced, with no scenes seeming bleached, tinted or too dark. A little bit of graininess was evident in places, but overall I was pleased with what I was seeing. This release comes with three extras: 2 featurettes, one entitled Bringing The Chaser To Life and the other On The Streets With The Chaser. The former is a 13 minute feature with interviews of the cast and director primarily where they give information about their influence for the film and their feelings behind a lot of it. Quite interesting to watch. The latter is an almost 30 minute "making of" style featurette where we have more interviews with the cast and crew, and see them filming different sequences. The final extra is the film's UK trailer. I was very pleasantly surprised by the quality of film I witnessed with The Chaser. Until I got the DVD to review I hadn't actually heard much about this film, so knew nothing of its story or content, which really is the best way to watch films as you'll have no preconceived opinions. While hoping for a decent film, my hopes were surpassed and I was given an excellent film. 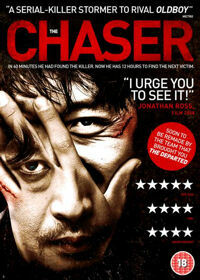 It is not perfect, but The Chaser is definitely one of the better films I've seen recently.